Printing an Excel spreadsheet can be difficult when the data that you have is not ideally suited for a piece of paper. 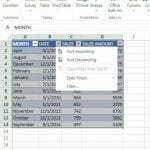 It can be helpful to copy the top row to every page in Excel 2013 when your document is going to span multiple pages, but the method in that article can be a little difficult to recall if you do not do it frequently. Another way that you can repeat a row at the top of every page is with a button called “Print Titles”. 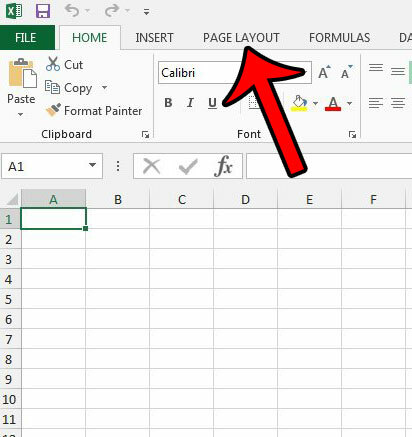 Excel refers to a row that repeats on every printed page as a title, so familiarizing yourself with that terminology, and using a readily-accessible button, can make it a much simpler method to repeat. The result of this tutorial will be a row of cells that repeats at the top of every page that you print from your worksheet. 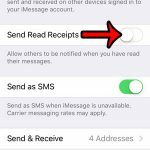 If there are other worksheets in your workbook, this setting will not apply to them unless you are working with grouped worksheets. Click inside the Rows to repeat at top field, click the row number that you wish to print at the top of every page, then click the OK button at the bottom of the window. 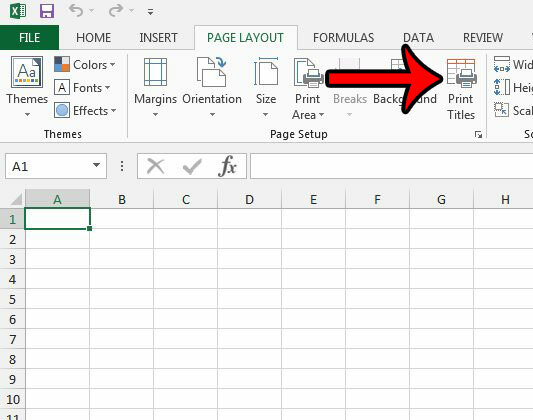 Step 1: Open your Excel 2013 worksheet. 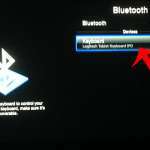 Step 3: Click the Print Titles button in the Page Setup section. This opens a new Page Setup window. 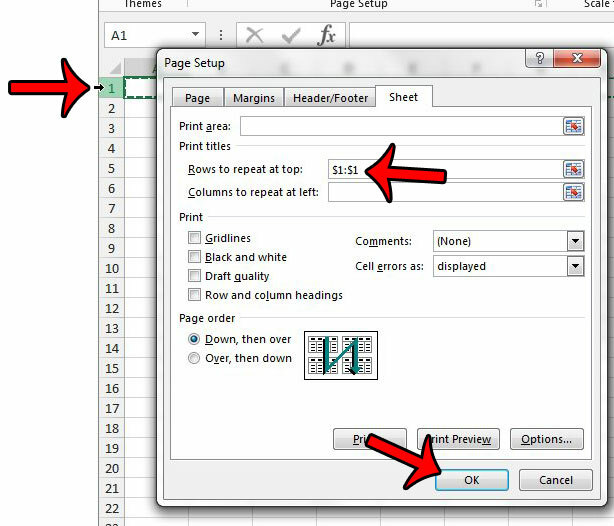 Step 4: Click inside the Rows to repeat at top field, click the number of the row that you wish to repeat at the top of each printed page, then click the OK button at the bottom of the window. You should see something similar to the $1:$1 shown in the picture below. 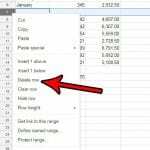 There is another repeatable location on a printed Excel worksheet called the header. Learn how to display the file name in the header, or use it for other information like the title of the report, or your name.